"I really wanted it to be FUN and not "fussy".. and it was!" 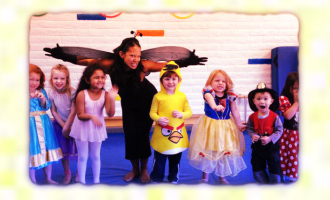 An enjoyable combination for children which includes ballet, creative movement, tap, and acrobatics. 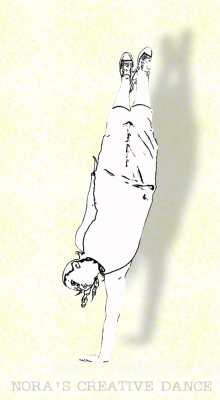 This program is designed to exercise the mind and body while developing an interest in dance. It provides an excellent foundation for further dance studies. Tap shoes are required, ballet slippers or jazz shoes are optional. We appreciate parent interest and support!! However, please be aware that observing dance class may interfere with your child's or other children's progress. You may observe on the FIRST CLASS during the first week of every month! Please refrain from talking or correcting your child while class is in session. Thank you! Nora Stebbins has been teaching dance in Alameda since 1989, which includes training, directing and choreographing for many age groups. She currently offers dance classes at Ruby's Tumbling and is a teacher for Dance/10 Performing Arts Center. Nora is recognized as a Certified Master Teacher in Acrobatics by Dance Masters of America, Inc. and regularly prepares her acro team for regional and national competition. 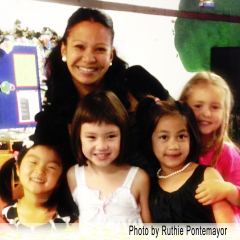 "Teacher Nora" is ECE certified and has taught pre-school in the Alameda Community for over 20 years. Some of her past performances include: International Friendship Tour Hong Kong/Macau, World Expo Spain, EuroDisneyland Paris, Carnival and Norweigian Cruiselines, Disneyland, Disney World, the role of �Sister Bernstein Bear� at Great America, opening day for the SF Giants, and The Macy's Thanksgiving Day Parade including a TV spot in NYC in 2012 and 2016. Her most recent professional performance with Dance/10 was for a Coca Cola commercial which aired during the 2006 NCAA Final Four basketball games and she has perfomed on stage with the amazing late Bryant Cash-Welch with DJ Alex Mejia's Michael Jackson and Prince parties.